The EU has agreed to give the UK extra time to finalise its departure from the bloc – by either two weeks or just under two months. After suffering two brutal rejections of her proposals for an agreement to leave the European Union, British Prime Minister Theresa May has managed to win extra time for her negotiations from EU leaders in Brussels. On Thursday, the EU told May that she could delay the separation until 22 May – if she secures MPs backing for her deal in a possible third vote next week. If she fails to win Parliament over, May can only postpone Brexit until 12 April, and must at the same time either leave with no deal or present a fresh set of proposals. Commenting on the conundrum facing May, Finnish European Union Commissioner Jyrki Katainen said that the country essentially has four options open, none of which is very appealing. "None of the options really looks probable," Katainen said during a radio interview with Yle Radio Suomi in Tampere. The UK was originally scheduled to leave the European Union on 29 March, after voters elected to leave the bloc in a contentious referendum in June 2016. May’s administration has since been negotiating – unsuccessfully – the terms on which the country will depart the union. According to Katainen, the first option would involve a vote on the previous separation agreement – which was spurned by lawmakers on two occasions. "Unfortunately, that might be unlikely," the ex-premier commented. If MPs do not back the deal, a second option would be an inevitable "hard Brexit", in which the UK leaves the EU without any agreement to govern future relations. Katainen said that this would be highly disruptive for Britain. He noted that it would also be a blow to Finland, which exports many goods and services to the UK. He said Finnish exports would probably shrink with the introduction of customs tariffs. A no-deal Brexit would also complicate the ability of Finns to work, study or travel in Britain, he added. The third alternative would be for Britain to ask the EU for a lengthier extension of one to two years, while the fourth would be to cancel Brexit entirely. Katainen said that it is very difficult to anticipate what will happen next. "The entire Brexit story has been tragicomic. We know what the British Parliament doesn’t want, but we don’t know what it wants," he added. "This is a healthy reminder about what populism is and what responsibility in politics means," he remarked. Finland’s former prime minister has said that he will not seek another term as EU commissioner, however he commented that he does not know what he will do next. "No idea unfortunately. This is the first time I will be leaving politics. I am trying to think what could be next. I am 47 years old, so there is time try one thing or another," he quipped. 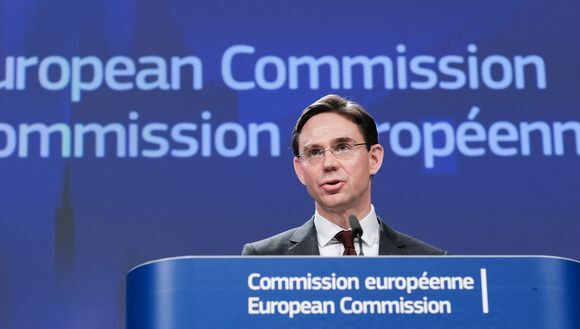 Katainen said his next exploit could involve working in the start-up arena or tackling climate change. His wife Mervi Katainen is a candidate in Finland’s upcoming parliamentary elections. The outcome of the election would also impact on the timetable for the Katainens’ return to Finland.